We provide qualified, highly trained & experienced security guards for Retail, Commercial, Factories, Construction & Development and Guard House sites. We are ideally placed to provide you with the kind of tailor-made Construction Site Security package your business demands, regardless of where your site is located. We provide fully trained and regulated Door Supervisors with a minimum of three years’ experience to maintain you, your staff, your premises and the safety of your customers. Our Security Dog Patrols are specialist teams ideal for both large opens sites and sites with multiple areas of concealment. We provide professional Event Security & Event Security Planning across the Anglia region. We provide gate and barrier Lock Down and Unlock for retail parks, yards, secure sites and private property. We ensure your staff, customers, contractors, guests and visitors have access to your secured site when required. We respond to your out-of-hours Intruder Alarm activation. Our trained & experienced Mobile Patrol Officers check the site thoroughly including gates, doors, windows, equipment & vehicles. From Security Patrols to Static Security Officers and Alarm Response to Lock Down & Unlock, our Key Holding service is at the very core of our security services. 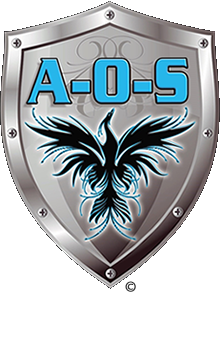 Alpha-One Security Services Anglia Ltd are a leading provider of 24 hour Security Services throughout Anglia. Our clients include Local Authorities, Government Agencies & Business of all sizes. Our expertise and experience enables us to provide security solutions tailored to your individual and specific requirements. We welcome an opportunity to discuss your security requirements. Call us on 01493 304632 or 07795 104854. Our door supervisors represent your business in an experienced and professional manner. All of our Door Supervisors are fully SIA licensed, CRB checked and insured. Our experienced Security Industry Authority (SIA) licensed guards are fully trained in handling all your event security needs, you can trust the professionals in ensuring that your event runs smoothly and securely. From Security Patrols to Static Security Officers and Alarm Response to Lock Down & Unlock, our Key Holding service is at the very core of our security services. We’re trusted with keys to varied local & national organisations.